LISTEN TO THE PODCAST EPISODE ONLINE HERE, OR BETTER YET SUBSCRIBE TO THE FREE PODCAST SERIES ON iTUNES HERE. On the podcast, a conversation with Nick Szuberla, the director of Thousand Kites, a community dialogue project about the criminal justice system. Thousand Kites uses radio, film, video, theatre, spoken word and more to exchange stories and perspectives on prisons. With 2.2 million people in jail or prison in the U.S., and millions more on parole, probation, in immigrant detention or the juvenile justice system, the misinformation and bad policies on incarceration is astounding. Thousand Kites gathers and distributes the stories of prisoners, their families, corrections staff, community members and others -- not just to allow people to express themselves, but to inform and change policy. From Nick, I got a sense of big economic and political powers in whose interest it is to build prisons, throw way too many nonviolent offenders into them, "rent out" prisoners to other states, keep prisoners isolated from their families and communities with no thought to what will happen when they get out -- and conceal what happens on the inside. I'll write more soon about this absolutely essential project, including some great stuff that Nick told me that I couldn't fit into the podcast. In the meantime, please listen to the episode and check out the Thousand Kites website. 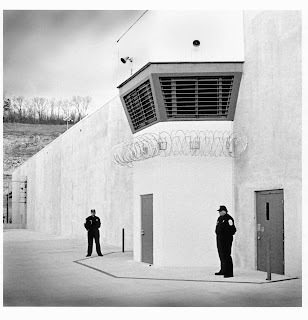 Photo by Thousand Kites of Wallens Ridge State Prison, in Wise County, Virginia.